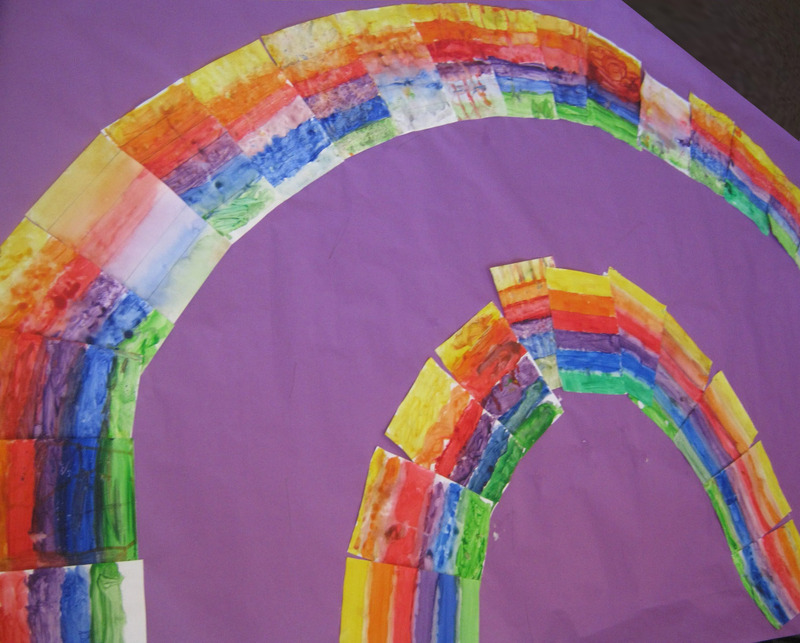 John here, me and Alex have been working with Year Four this week on some colour exercises. The children have been looking at mixing and applying colour, they've made colour wheels, used wet on wet techniques, produced gradations and combined them with stencils and acrylics. The accent was on exploration; looking closely at the way colour and waterbased paints behave, and at colour for its own sake. We closed with an experiment from Alex's notebooks, looking at the effect of water on felt pen inks and coffee filter paper..a nice way to conclude. 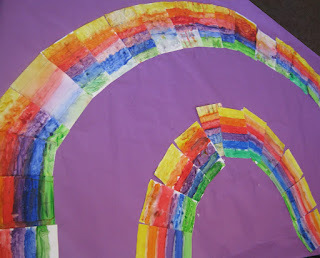 We were really pleased with Year Four's response, and with the way they carried on working during the change-over periods...after our colour wheel work there were some lovely personal departures into other colour combinations that combine serious intent with a delight in the space in which to experiment. We have plans to develop this work further, to apply what has been learnt to a study of the natural world, with what Ellie Chaney has shown us about the work of Anna Maria Truter (aka Lady Barrow) as the spring board. These few days and the sessions led by Lexi and Dominic- and the work at the Coro with Croftlands Juniors- are a reminder of the value of building sustained relationships between artists and schools. ..how this lad paints with his Gran and so he knows about working from light-to dark in watercolour. This girl goes home and draws her own colour wheel with her coloured pencils. This boy loves LS Lowry, this one is interested in stencils and graffiti; this girl's Dad is a sign writer, she knows the difference between water colour and acrylic and wants to know if our experiments will work with them. They ask when did we start learning this stuff and where? How do you get to do this as a job? And we have a laugh; we remember the pleasure that can be taken in serious work, and in the moment when you clear up the newspaper and palettes and have a look at what you've made. UNDER THE WEATHER. THE 'OSS BIDES HIS TIME. LEX BLAKEWAY AT SJB: SOUVENIRS.